If you have an enormous music collection and want to free some space on your HDD - using cloud service is the most natural decision for that matter. Amazon is sticking with the trends and spreading its roots into the music services market. Cloud music services are quite convenient as you can access your files anywhere and anytime. Thanks to the amazing internet coverage that has been getting better for the past years and continues to do so - you no longer have to keep all your files in your computer or spend time deciding what to download to your iPod, and this is rather good to know that they are conveniently gathered in one place and are always there for you to enjoy. You might already have been taking advantage of such service lately or maybe you are just considering it -you might be interested in finding out more. Google Play Music – cloud music storage, but quality? The service on it’s own has about 35 million tracks, which can be accessed from anywhere. If you want to find a storage place for music that you already have - apart from that Google Play Music lets a user store up 50 000 tracks, which is pretty satisfying. It is now available in both Play Market and Appstore. You can upload the music files through Music Manager on your PC and thus make them available for playback in your Google Play Music. iTunes Match is a solution to move your music around as well. The app scans your collection on Mac and finds matching tracks on iTunes, making it available on all your apple devices. You do have an option of uploading your own music, but the app is generally more useful if you are more on the streaming music service. Amazon has over million of tracks available in the player and curated playlists for users to explore. Also if you purchase records on Amazon they can be stored in your Amazon Cloud. But if you are specifically looking for a place to store what you already have (music from CDs or just mp3 files that you have on your hard drive) – you can purchase the Amazon Prime subscription, which will allow you upload 250 000 of mp3 and listen to them through both your PC or Mac and your Android or iPhone. These seem to be a great way to have all these tunes with you all the time. But if you are a music lover to the core? We have created a product that is truly FOR MUSIC LOVERS and FROM MUSIC LOVERS. Maybe music is just everything you are about and you never miss a beat or a little second of that precious record, and the quality is just vital to you? There’s an app just for you, see for yourself! 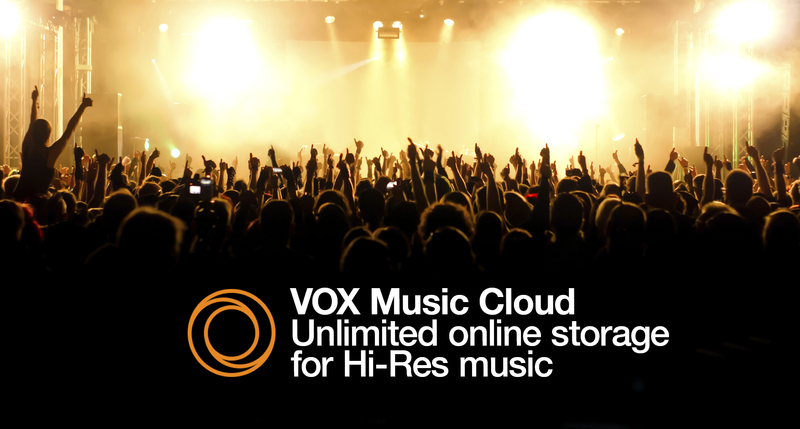 Take a look at VOX cloud music storage. Why is cloud music storage “VOX” different? VOX Cloud is a cloud music storage application with a sync feature from Mac to iPhone with an infinite cloud storage amount that is specifically designed to work with a music player. VOX Cloud has absolutely UNLIMITED storage! Simply drag and drop in our desktop app on your Mac and never worry again, your music is with you, safe and… SOUND. Talking about sound, VOX Cloud doesn’t have any format restrictions so that it gives you an excellent QUALITY of playback. We support nearly all lossless formats such as FLAC, ALAC, AAC and many others and you can listen to your music from the Loop without even a hint losing that 1 byte of quality. VOX Cloud also has clean design and is convenient for you to use. Nothing accessible will distract you from listening to you favourite artists. It has music, quality and… Nothing extra. Some people put it that way: the stuff but not the fluff.